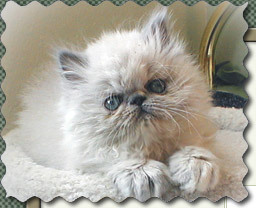 We strive for an immaculate cattery and are fungus and parasite-free. 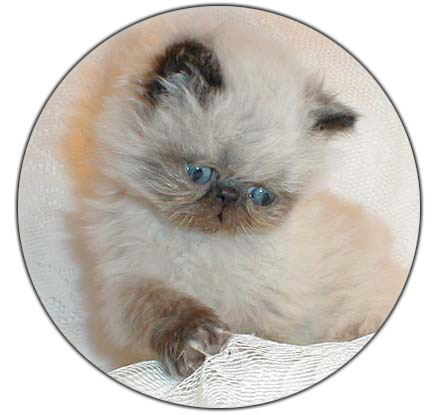 We make it a point to be present at each birthing, and our kittens are handled from birth on. The kittens are raised in our "kitten room" for the first few weeks of life. After they are completely litter box trained, they are gradually introduced to the rest of the house. Much time is spent playing with and socializing them. We believe this is the way to produce loving, people-oriented temperaments. Our kittens are well adjusted to a home atmosphere when they leave our cattery and will capture your heart for a lifetime. Our moms have the run of the house. Our stud does, too, as long as he is behaving himself. He does have a large cage with a great outdoor run during the times he has to be confined. 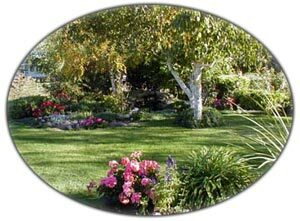 The moms are also able to use the run and avail themselves of the fresh air and sunshine during the day. 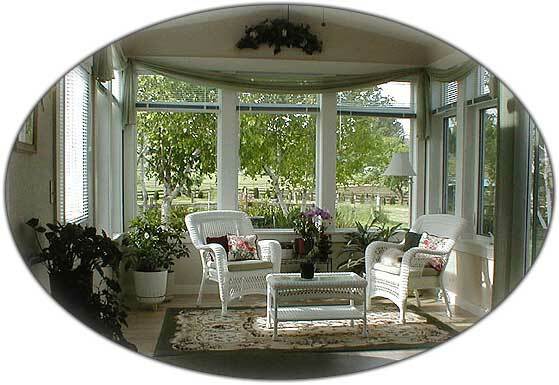 Above is our newly finished sunroom, which has been quickly adopted as the favorite "kitty lounge". 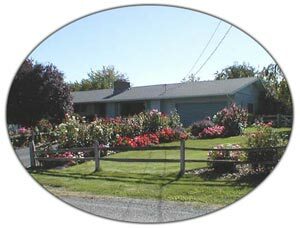 Pictured below are the back and front of our property, sometimes called the "Guenther gardens."